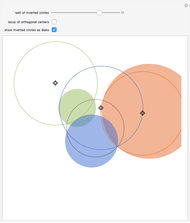 Orthogonal circles are invariant under inversion. 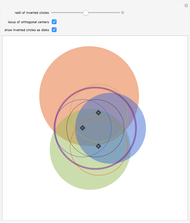 Hide or show the circular locus of their centers. 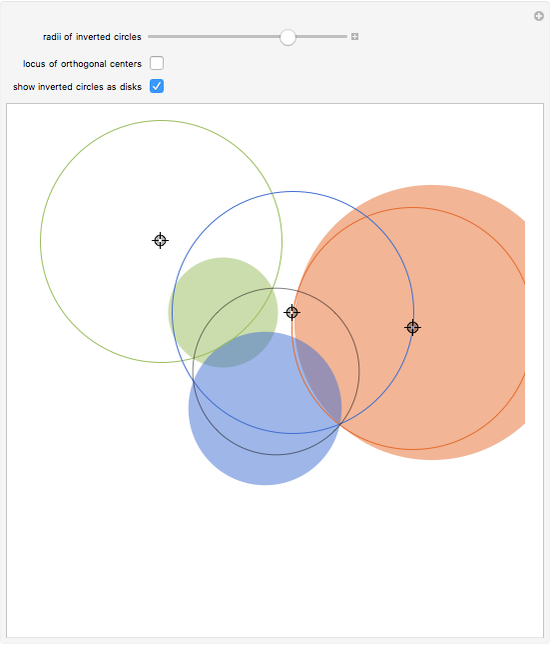 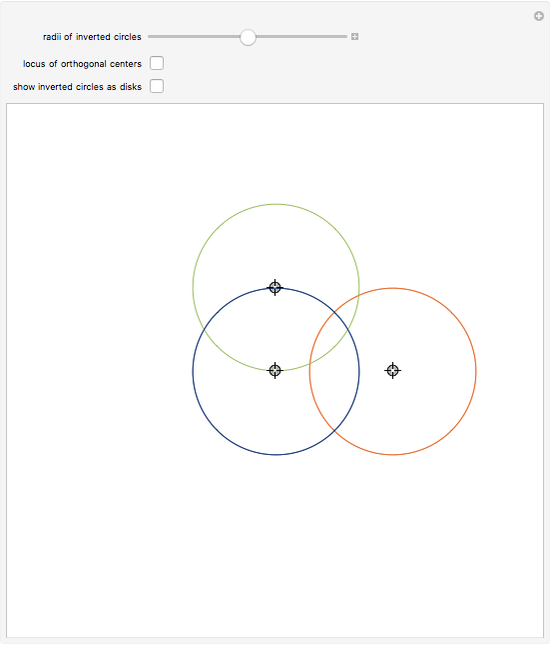 Drag the locators to explore how the colored circles and their inverses are related. 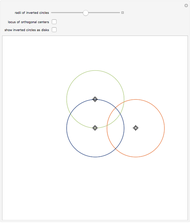 Michael Schreiber "Orthogonal Circle Inversion"